the frame itself sometimes has no closed loop like the diamond frame of upright bicycles. On my Nazca Pioneer there is a small closed loop on the rear stays so I manage to secure it with a foldable lock. This is weaker than a U-lock but it is the best I came up with. But on my Challenge Seiran SL, which has no secure point, I am still looking for a safe way to lock it. Have you tried one of these folding locks? Feed it through the wheel, through the chain, and back over your frame. No self respecting thief would take the time to try and untangle it without being caught. 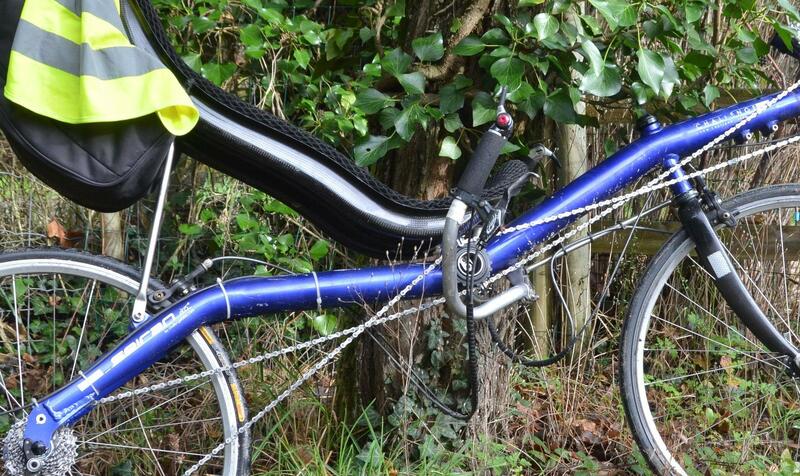 You could get some Pitlocks or other secured skewers, and then use a standard U-Lock/Folding lock on your rear stays. 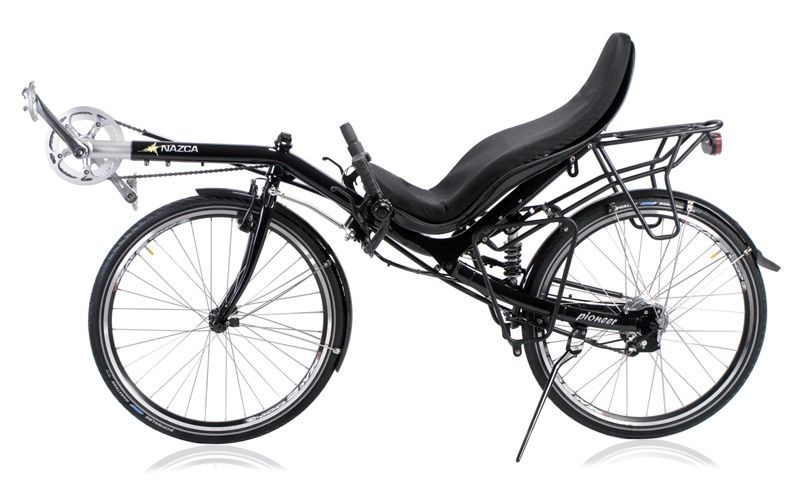 I'm not sure if Pitlocks fit a recumbant properly or if you want to trust your entire bike to them (rather than just the wheels) but it would probably be OK. Also, you could use a U-Lock between the seat and the front fork (possibly with some security bolts instead of standard allen key bolts). Something in that position would probably be quite difficult to remove. I use a ring lock that is attached to the frame to lock the rear wheel to the frame. As it is a relatively cheap second hand bike (€200 4 years back) that is how it is locked unless left for a long time or in a dangerous place. When I lock properly, the long cable lock will go through the front wheel, through a smallish hole or loop of a fixed object and either around the bar of the middle of the bike or through any of the 'loops' that the frame of the bike has. As I expect bike thieves to be mostly opportunists (where and when I park) I expect two locks to be enough in most or all occasions. My friend, who owns a much more expensive 'bent bike, uses a better lock but basically uses the same method. The hard lock is on the bike itself, it is the expensive cable that holds the bike in place. In places where I would not trust that kind of locking, I would not leave my bike. All locks only slow the thieves, never stop them. Ratings should give 'minutes' or even 'seconds' delay. And then, even the best locks can be dealt with in seconds if the 'right' tools are used. 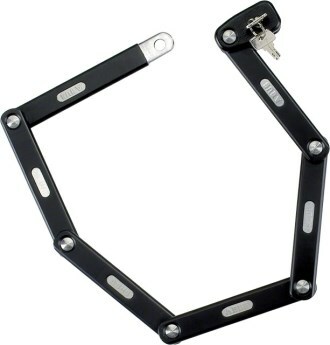 If I had to lock my bike with an U shaped lock, I would try to get the front of the bike to the fixed object, so the lock goes about the bar between front and back as well as around the fixed point. Locking the trike is even less a problem but more of an annoyance. As I had an insurance on it, I had to use a heavy chain, other approved locks did not fit the trike. With that chain I can fix one of the 'loops' of the frame, one rear wheel and a fixed spot. I still have a cable lock for the trike, which I can use to lock both rear wheels to the frame and to a fixed point, or I can use it for the front of the trike. 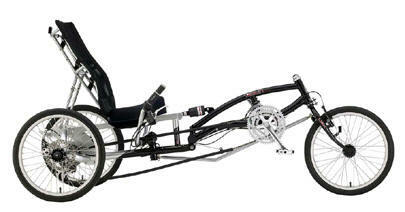 But the frame of the trike has all kinds of 'loops' that make locking it easier. I am living in the Netherlands where bike thieves are almost as common as bikes but most thefts are done to get to places on the 'borrowed' bike. Having an uncommon bike is a help there, thieves will not know how to ride it and it will stand out. Secure any relatively removable parts of the bike by threading a good chain through them and locking that, too, with the U-lock. because it's about the cheapest (~$11 in 2014, $18 in 2017 though out of stock) Class 5 lock there is. Not the best Kryptonite by a long shot, but the name itself has some deterrent effect. Add a Kryptonite 7' x 10mm cable - http://www.treefortbikes.com/cat/0/1170/Cable-Locks.html (~$16 shipped) and you have most of what you need to make a thief move on to another bike or trike. That 7' cable is enough to thread through a couple of wheels and the ($200!) seat frame. I live in a frowzy Florida town, not NYC, but we have bike thieves here, too, and I rather like my Spike recumbent trike -- and the only place I have to park it is a fenced-in carport that isn't highly secure except for the fact that it is guarded by Terri the Terrorist Terrier, an alert and barky guard dog. W00F! 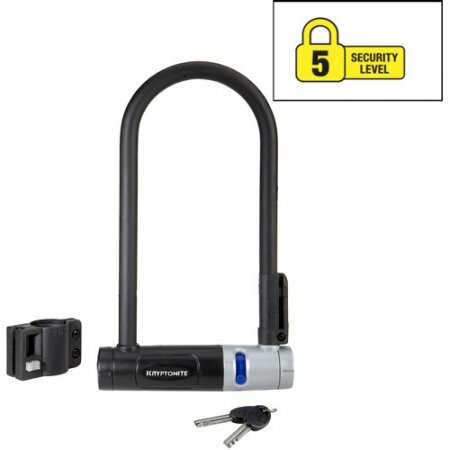 Using a U-Lock, you don't need a closed loop, but just an area of the frame between two points where the bike is larger than the U-Lock. In all cases you can disassemble the bike to get it out of the lock, but that will take tools and more time than just cutting even the best lock (when you are bringing tools anyway). I think this will work on both bikes you mentioned, and to give a third example it also works on this bicycle I own: I usually put a heavy U-Lock on the frame between seat and suspension and it is just long enough to also put the lock around some fixed metal bar. When there is no such bar available, I put the lock through the front wheel and around the frame between pedals and fork (both cranks, or one crank and the other pedal would need to be removed for sure and maybe even the whole green front part to remove the lock from the frame). Not the answer you're looking for? 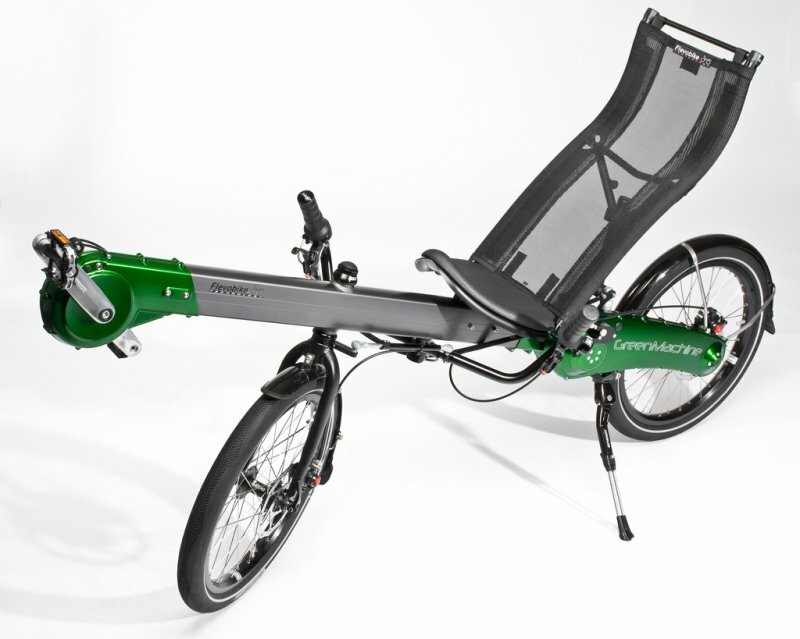 Browse other questions tagged lock recumbent or ask your own question. How do you lock up your bike trailer?